Video Tech - Dunedin's Party Hire Specialists! 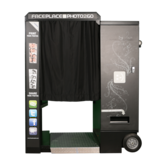 for functions from Pre-schoolers parties to school fairs to corporate and fundraising events. 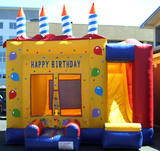 Choose from the widest range of party equipment in the South Island to make your party the best ever. We only stock unique party hire accessories sourced from the US made with better design and materials. It’s important that what you hire really is safe for children. That’s why our products adhere to all Safety Fire Ratings & NZ Electrical Standards. We offer short and long term hire, let us know what you require! We can also deliver please contact us for pricing. Our weekend hire rates are for pick up Friday and drop back Monday, charged at one day hire rate. Delivery options available, please enquire. I am always impressed by the standard of service, pricing and level of commitment to customers that the team at Video Tech provide.